Building a new home is a MAJOR investment. 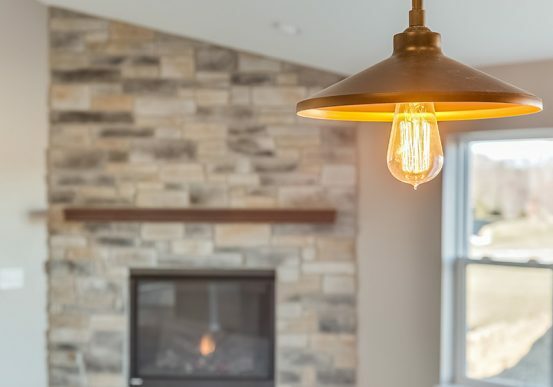 The Focus on Energy new homes program can help you make the most of that investment with a high-performance home that saves energy and money. At BEAR Homes, we will help you make educated decisions about your home. Peace of Mind- Focus on Energy provides you with the confidence, expertise, and assistance to help you build the home of your dreams. A More Energy-Efficient Home- Estimated to be 10 percent more efficient than homes built to the Wisconsin Uniform Dwelling Code. Proof of Energy Efficiency- Any builder can say they build energy-efficient homes. The difference with Focus on Energy is that you have a third-party certification to prove it! Easy Decision Making- From initial planning and preparation through construction and inspection, we will be there every step of the way, making sure your home meets the highest standards of quality craftsmanship and ensuring your investment is a sound one. Plus, when you buy a Focus on Energy new home, you get the added benefit of knowing you’re helping preserve Wisconsin’s environment for future generations! Less energy used means fewer environmental effects on our air, water, and land. I received guidance and certification from the Focus on Energy program to make my new home an energy-efficient home. The materials I received during the building process were informative and the testing done as part of certification was invaluable in making my home as energy efficient as it is. My family has now lived in the house about a year, and our energy bills are the same or a little less than when we lived in a multi-unit condominium building, a unit with 1/3 the square footage! The house is also quite comfortable, with no drafts or cold spots to speak of. We are quite happy with the house. I was able to notice the difference right away in the home. The windows, outlets, and doors didn’t leak air and my energy bills were less.